have a plastic free easter! Over seventy fine food awards since 2006 including Supreme Champion and seven times Champion chocolate at the Taste of the West awards. Great Taste awards winner. BBC Good Food champions. Free delivery for retail customer orders over £35. Fully tracked delivery with options to deliver to a shop, leave in a safe place or with a neighbour. Free gift tag and message on all orders. Why not gift wrap your order for £3 and delight your recipient? Welcome to Lick the Spoon! A nice glass of Criollo?… Origin chocolate explained. Where can I Buy Lick the Spoon? Many of our chocolates are Vegan friendly including our Cacao Beans in Dark chocolate which won a Taste of the West Gold Award 2018 and a two star Great Taste Gold Award. We’ll be expanding our Vegan chocolates range in 2018. 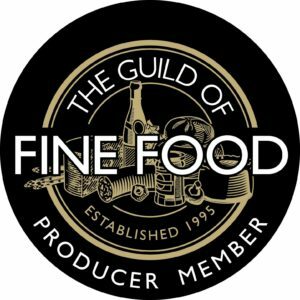 We are producer members of the Guild of Fine Food and are also Great Taste Producers having won great taste awards in three consecutive years. We are producer members of Taste of the West – patron H.R.H. Prince Charles, Prince of Wales. We were Supreme Champion 2016. Eight times winner Champion Chocolate.